First an update on the master bathroom. I've made a lot of good progress, but I can't quite call it done. Regardless, it's about time that I show you some pictures! I promise to do that later this week. The next room I'm working on from my long list of projects is one of our guest bedrooms. We haven't touched this room since we moved in aside from redoing the hardwood floors. The furniture and bedding is our old set from our apartment. The first thing that I want to do is paint paint paint! 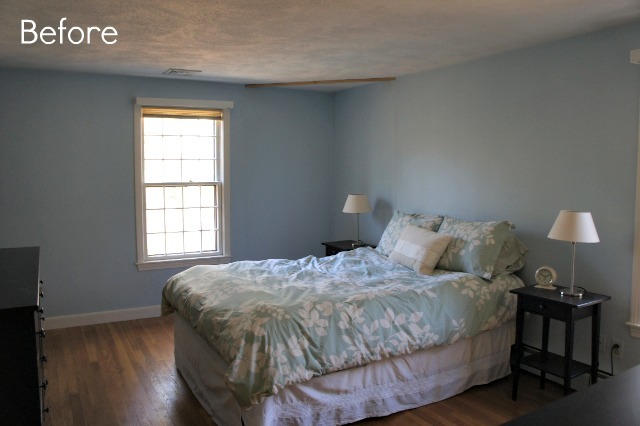 I've been trying to steer clear of using another blue or gray in the house, but it's so hard for me! I love using gray as a neutral. I also want to add a headboard to the bed, hang window treatments, get new bedding, and accessorize. I plan to keep the Ikea Hemnes nightstands and one of the dressers in the room. 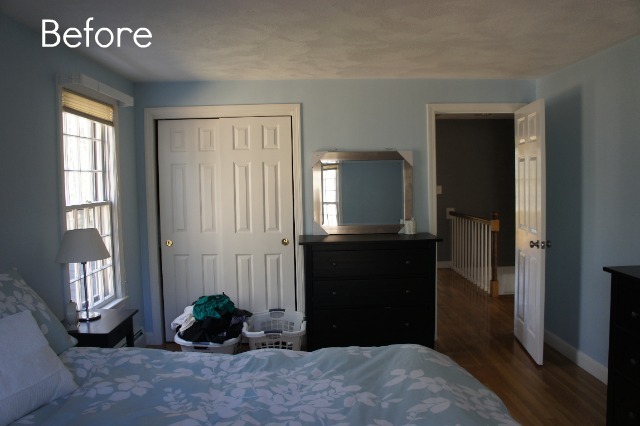 The other dresser will move into our other guest bedroom and probably get a coat of paint. I just ordered the velvet chair from Target. It's on sale for $135.99! I couldn't believe how inexpensive it is. 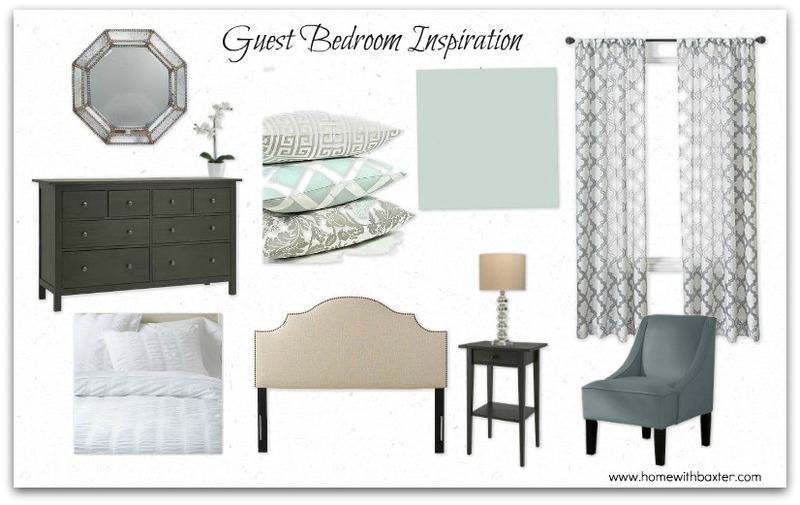 Once I see the chair fabric in person, I plan to pick a paint color and order the headboard. Right now I'm leaning towards White Rain by Benjamin Moore. The curtains are also from Target. The lamp and mirror are inspiration only as I'll be shopping HomeGoods for less expensive lookalikes. I'm really looking forward to pulling this room together and giving our guests a beautiful place to stay. You can see some of my other mood boards here. I love those curtains; so pretty. And now I have to go drool over that chair; it would be perfect for our master bedroom. Thanks for sharing!! PS-I can't seem to think about anything but blue and gray paint either! That headboard is perfect, I love it! One of the things I love most about upholstered headboards is that if you ever get tired of the fabric you can always recover it! Love the new site design by the way!